A Chance to Get a pHantastic pHoundational Knowledge of pH! On March 22nd, Nelson-Jameson is excited to offer our “pH Workshop” at the University of Wisconsin-Baraboo/Sauk County. The course will be facilitated by Nelson-Jameson’s in-house pH expert, Steve Zdun. 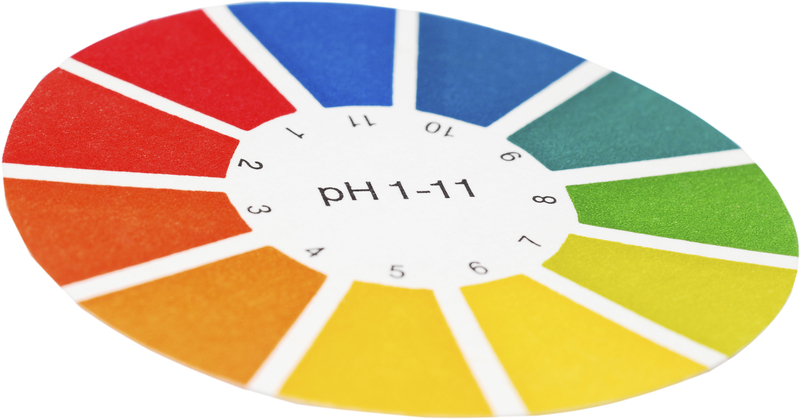 The workshop is perfect for an array of food and beverage industry producers to learn more about the basic principles of successful, and effective pH analysis in the processing environment. Participants will garner insight into a host of topics, including: sample preparation techniques, choosing the best electrode/meter for the job, the importance of Automatic Temperature Compensation, calibration techniques, cleaning/maintenance procedures, and basic trouble shooting. Steve has also planned time for a question and answer session, as well as one-on-one consultation. By the end of the session that runs from 9am-12pm, class participants will leave with a constructive base of information to take with them into their facilities, as well as receive a certificate of course completion. Sign up for the course by giving us a call and requesting item #333-3333. 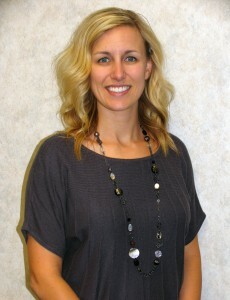 Our Customer Service Representative will take down your name, title, and organization. Cost for the course is $75. 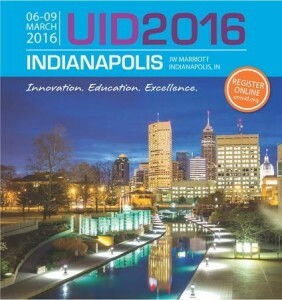 Register early as space is limited! Remember, too, further educational opportunities are available through our partnership with Cherney Microbiology. We’ll hope to see you in the classroom! Keeping checking back here for further information on upcoming seminars and workshops or visit our Learning Center & Events page. Although January isn’t the beginning of our fiscal year, it’s still a month of forecasts, resolutions, predictions and plans. Lots of plans. Basically, it’s Planuary. The strategic mapping of the future can seem tedious to some, but as trend-watchers, it’s one of our favorite months of the year. Planuary’s the time when industry media, food experts and food processors cast their predictions for what food and beverages will be hot in food service and food retail. So, what will we be eating and drinking in 2016? Two of the cornerstone components of balanced nutrition will be in the spotlight this year: fat and protein. The consumer view on fat has come “full-circle”, according to one industry expert. Fat is no longer looked at as necessarily unhealthy, as consumers look towards cleaner labels, more natural ingredients, increased satiety and maintaining balanced diets. Nuts, seeds, avocados and plant-based oils are increasingly popular, as are full-fat dairy products. In fact, butter sales over the last couple of years have been the highest in decades. Rendered chicken fat, beef tallow and pork fat are also gaining traction. Basically, fat is back in all its glory, and our taste buds couldn’t be happier. Protein, a hot trend over the past decade or so, shows no sign of slowing down. Plant-based protein will be especially big in 2016, with oat-, pea- and soy- proteins all gaining market favor. Nuts, seeds and grains will also be big. The Middle Eastern staple Freekah and the ancient grain Amaranth are vying to be the new quinoa. Mushrooms, an often overlooked source of protein, are set to have a big year as well—domestic production and value are currently at an all-time high. Look for our favorite fungi to be blended into both meat- and plant-based dishes and products with more frequency. 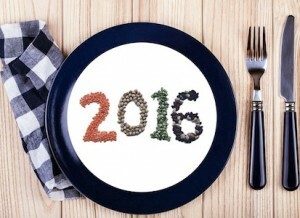 Looks like 2016 will be protein-packed and health-focused! Grillmasters rejoice—this is your year. “Charred”, “burnt”, “grilled” and “fire-roasted” will popping up on menus and in stores across the US. Cocktails, entrees and desserts are all getting their smoke on, as consumers gravitate toward more unique and stronger flavors. Look for this fire-fad to develop into a full-on trend, as it can be applied to almost any food or beverage in various ways. No, not that pulse. In culinary terms, pulses are lentils, dry beans, beans, and chickpeas. The United Nations is so certain that pulses will soon peak in popularity that it has dubbed 2016 the “International Year of Pulses”. Pulses already make up 75 percent of the average diet in developing countries, but only 25 percent in developed countries. The UN is hoping to change that with increased awareness, as pulses pack almost as much protein as meat per ounce, use less water to produce than meat and are relatively inexpensive. So, it’s a nutritional, sustainability and economic win-win-win. Bubbly beverages and tangy drinks are predicted to be quite “pop”-ular in 2016. Fermented beverages containing probiotics like kefir and kombucha are carving permanent space on grocery shelves, and hard sodas and ciders are increasing in popularity with the millennial generation. Drinking vinegars are even gaining a strong following. Sounds like sour pusses and puckered pouts will be a frequent expression for many consumers this year. All of these macro- and micro- trends boil down to three main drivers: flavor, adventure and health. We’ll be watching these and other trends closely over the next year so that we can better anticipate the needs of our customers. Nelson-Jameson’s looking forward to a successful and productive 2016! When preparing 3M™ Petrifilm™ for use in your environmental monitoring program there are different hydration methods to follow, depending on the test and the context in which it is used. For air or direct contact procedures where Aerobic Count, Coliform Count, E.coli/Coliform Count, Rapid Coliform Count or Enterobacteriaceae Count Petrifilm™ are being used, hydrate plates with 1 mL of appropriate sterile diluent. Allow hydrated plates to remain closed for a minimum of 1 hour before use. If using Staph Express Count Petrifilm™, hydrate plates with 1 mL of appropriate sterile diluent. Refrigerate hydrated plates for a minimum of 3 days before using. For air testing using either Yeast and Mold Count or Rapid S. aureus Count Petrifilm™, hydrate plates with 1 mL of appropriate sterile diluent. Allow hydrated plates to remain closed for a minimum of 1 hour before use. For direct contact methods only using Yeast and Mold Count Petrifilm™, hydrate plates with 1 mL of sterile letheen broth only. Place letheen inoculated plates into sealed bag and incubate at 30-37°C (86-99°F) for 24 hours. After incubation, store sealed bag of plates in refrigerator for a minimum of 4 hours to allow gel to solidify. Plates hydrated with letheen will have a mottled appearance. If you prefer using the new Rapid Aerobic Count Petrifilm™ the hydration times are slightly longer for air or contact surface monitoring. Air sampling has a 24-hour minimum hydration period refrigerated. After hydration plates can be stored up to 7 days. Contact sampling has a 3-day minimum hydration period refrigerated. These plates may also be stored for 7 days after hydration. Refer to relevant package insert for details and listing of appropriate diluents. For storage purposes, place all hydrated Petrifilm™ in sealed pouch or plastic bag. Protect plates from light and refrigerate at 2-8°C (36-46°F). Hydrated Petrifilm™ Aerobic Count plates may be refrigerated up to 14 days, all other hydrated Petrifilm™ plates may be refrigerated up to 7 days. 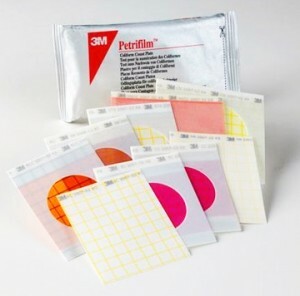 To see the variety of Petrifilm™ available, see our website.